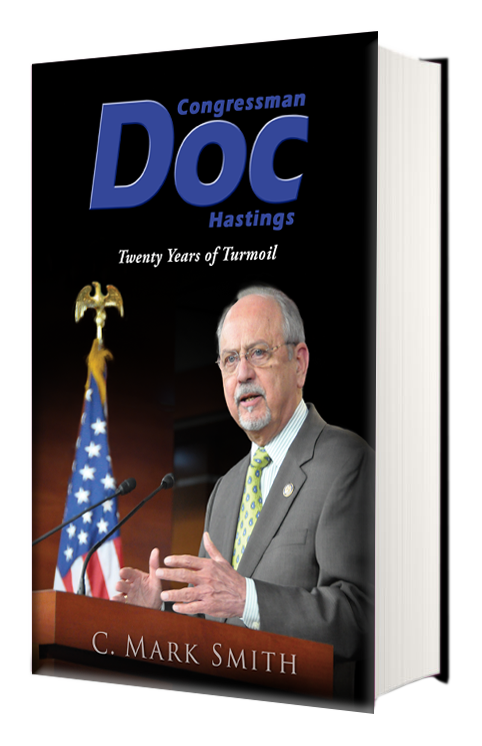 This book about Doc Hastings provides an in-depth look at Congress during the exciting, but difficult years between 1995 and 2015. Although he rarely sought the spotlight, his colleagues considered him a true legislator, who thought government should be the servant of the people, and not its master, and who could be counted on to carry out difficult assignments when asked. That is why he is one of only a handful of members of the House of Representatives to have chaired two standing committees. I think Doc stayed around a long as he did because the people at home felt like he was there for the right reasons. He wasn’t there for Doc. Doc and I served together for much of our congressional careers and . . .
Doc was a mentor for me, and an example what principled, conservative leadership is all about. 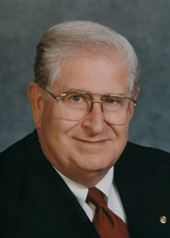 He was a Ronald Reagan delegate to the 1976 Republican convention and remained true to the values of small government and free enterprise during his entire political career . . . .
Mark Smith’s new book . . . recognizes the often unappreciated contributions of Doc Hastings. . . .
Doc Hastings was elected to the US House of Representatives from Washington’s Fourth Congressional District in the wave election of 1994 in which Republicans picked up fifty-four seats to gain control of a Congress that had been controlled by the Democrats since1954. 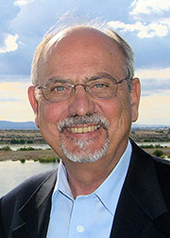 A small businessman from Pasco, Washington, Doc graduated from Pasco High School in 1959; attended Columbia Basin College from 1959 to 1961, and Central Washington State University in 1964. He ran his family’s small business, Columbia Basin Paper and Supply Company. A native of Tacoma, Washington, C. Mark Smith spent forty years managing economic development organizations at the local, state, and federal level. He is a Fellow Member and Honorary Life Member of the International Economic Development Council and received a Lifetime Achievement Award from Washington Governor Gary Locke in 2004. Smith’s other interests revolve around history, politics, and community service. A self-proclaimed “political junkie,” he is an avid observer of the national political scene. Join us from 2-4 Sunday, May 20 for the "Twenty Years of Turmoil" Book Release Party! Doc Hastings updated their cover photo.